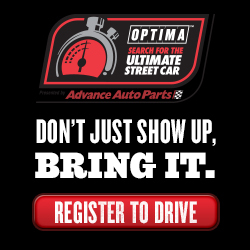 Patience is indeed a virtue, but amongst the spirited four-car BimmerWorld Racing GRAND-AM Continental Tire Sports Car Challenge series team, that patience is wearing thin. 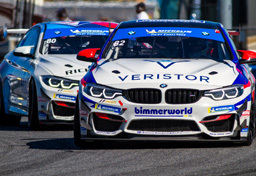 Great potential has been shown this year as BimmerWorld’s brand-new two-car BMW M3 V8 Grand Sport-class effort has run solidly in the top 5, and its two-car BMW 328i Street Tuner-class program has come close to repeating the wins and pole positions it earned last season. But words like ‘potential’ and ‘promise’ don’t carry much weight for BimmerWorld owner/driver James Clay, or his hard-working crew. Heading home from California to Virginia with a bit of hardware–a trophy from making the podium in both classes–would be a welcome boost for the team, according to Clay. The famed Laguna Seca circuit seems tailor-made for BMWs, with a heavy demand placed on cornering, braking and acceleration at the 2.2-mile, 11-turn track. While BimmerWorld’s BMW M3 V8 GS cars have been on the cusp of a podium result, a strong emphasis has been placed on returning the team’s 328is to Victory Lane. The key to getting there, as Clay shares, is continued suspension R&D. After a slight change in the driving lineup at round 7, Bob Michaelian and Ken Wilden are back in the No. 78 Bizrate-sponsored BimmerWorld BMW M3 V8 this weekend after missing Road America due to previous commitments. For Michaelian, a California native, the chance to race on home soil is a perfect return to GS competition. Michaelian and Wilden own BimmerWorld’s best result in GS to date, but improving upon their sixth at Daytona is something Michaelian feels is well within their grasp in Monterey. On the ST front, John Capestro-Dubets, also from California and one of the rising stars of the 2011 season, brings newfound experience to his role as co-driver of the No. 81 BMW 328i, which will carry special branding from Brakleen, the leading brake parts cleaner. After taking over a leadership role in the No. 81 at the last round while his regular partner, Gregory Liefooghe, took the helm of the No. 78 M3 V8, Capestro-Dubets got a glimpse of what will be expected from him as his road racing career continues to flourish. 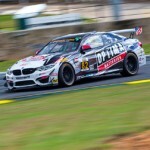 Follow the progress of the BimmerWorld team this weekend at www.BimmerWorldRacing.com.